Size 4 foot x 80 foot. Max Withstanding Temperature 70 degree. 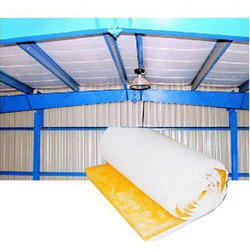 We provide thermal insulation. Our thermal insulation is made using grade one raw material. It is actively resists the inflow of heat. Insulation is made of special materials impede the conductivity of two different surfaces. Our Thermal insulation is certainly the most powerful solution to resist inflow of heat. Thermal insulation control temperature to applied area. Pioneer India is offering thermal insulation materials, thermal insulation in india, thermal insulation in buildings as the leading thermal insulation manufacturers, thermal insulation manufacturers in india, thermal insulation materials manufacturers. Looking for Thermal Insulation Materials for roofing. ?